They fled their villages to escape the threats of intensifying military presence, only to be subjected to a military cordon that worsened their condition in a temporary shelter. 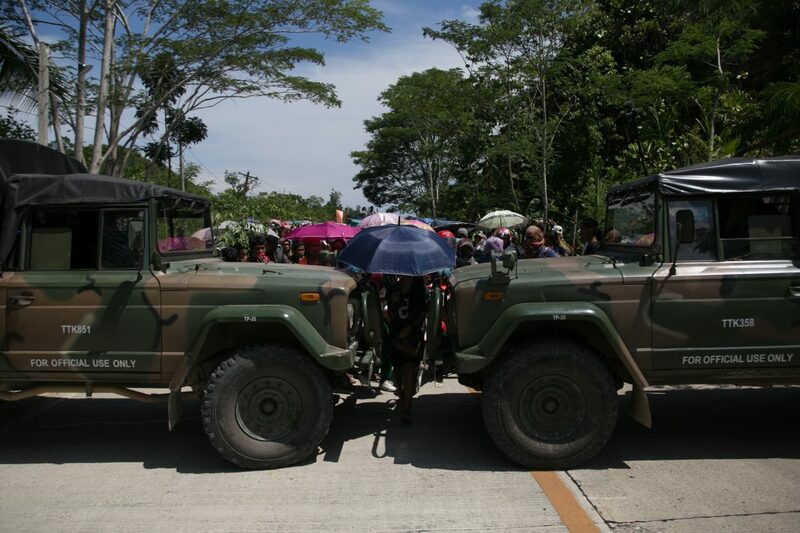 On July 16, some 1,607 indigenous people from 15 communities from the towns of Lianga and San Agustin in Surigao del Sur marched for ten hours to seek refuge from military abuses. 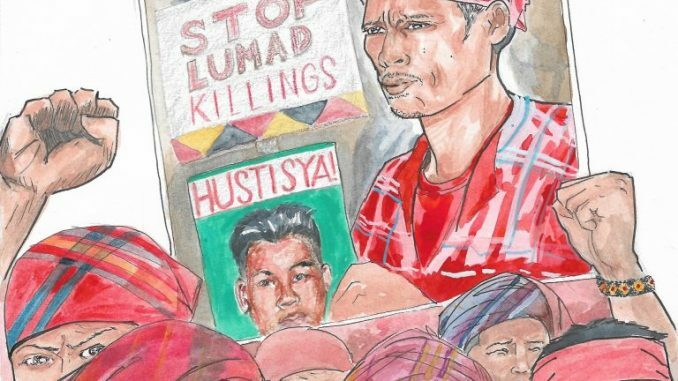 Lumad leaders reported that soldiers who had been encamping in their communities subjected them to human rights violations, intimidation, and harassment. 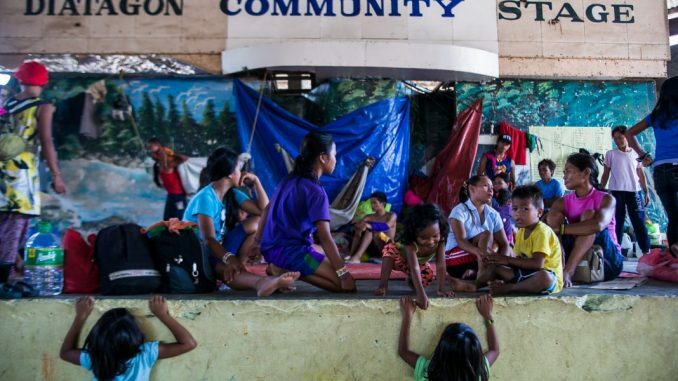 The Lumad sought sanctuary in a gymnasium in Diatagon village in Lianga town, but the military blocked all entry and exit points to the evacuation area and controlled humanitarian aid coming in from various organizations. There was no water supply, no toilet, and not enough space for everyone in the gymnasium. People had to take turns in order to sleep. The local government unit of Lianga town refused to send aid because “there was no crisis or calamity”. Some 1, 607 Lumad are cramped in a gymnasium in Lianga, Surigao del Sur, to seek refuge from military abuses. Photo by Mark Saludes. 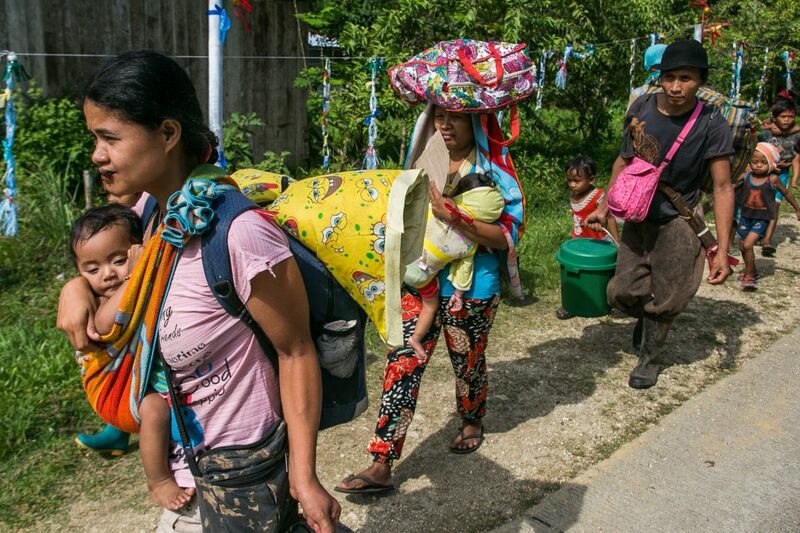 Among the displaced tribal people from 15 communities within the Andap Valley Complex in Surigao del Sur are 46 lactating mothers and at least ten pregnant women. Photo by Mark Saludes. The army barred non-residents to pass through the barricades, including members of the media. The Lumad also reported a series of harassment and intimidation incidents perpetuated by elements of the 75th infantry battalion of the Philippine Army while they were in the gymnasium. 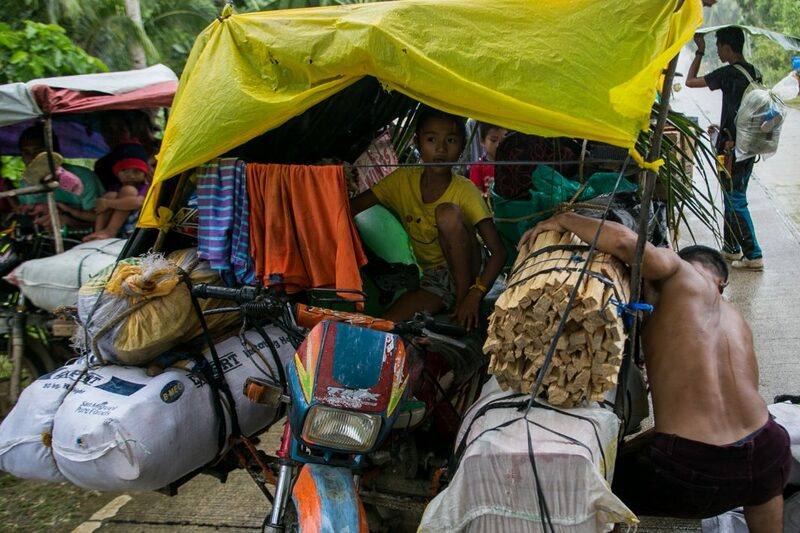 On July 30, the internally displaced Lumad started decided to seek another shelter. Conditions inside the gymnasium in Diatagon village had become unbearable. They once again initiated a long march to Tandag City, the provincial capital. 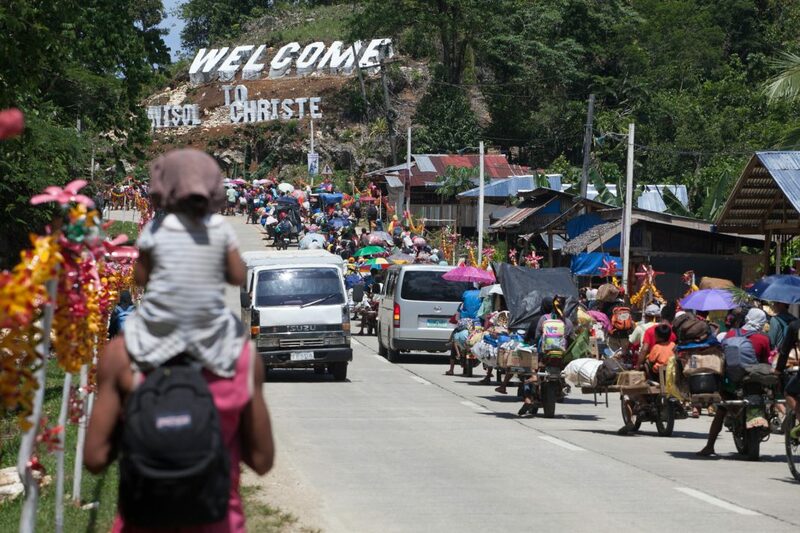 On July 30, at least 1, 607 displaced indigenous people initiate another exodus from an evacuation center in Diatagon village in Lianga town, Surigao Sur province in Mindanao to seek safer grounds in Tandag City. Photo by Mark Saludes. A tribal mother carries her child with holding a pot during an exodus from a temporary evacuation shelter to seek safer grounds. Photo by Mark Saludes. A Lumad father secures firewood. A sudden downpour prompted the displaced families to stop for a while during a massive exodus on July 30 from Diatagon village to seek safer grounds. Photo by Mark Saludes. “We will die if we will not move to another safer location. We have no choice but to walk to the capital and bring our issues to the higher government,” said tribal leader Sarry Campos. The army prevented the indigenous people from advancing when they reached San Agustin town after nearly 10 hours of walking. They blocked the road with anti-riot policemen, fully armed troops, military trucks, and fire trucks. Elements of the 75th Infantry Battalion of the Philippine Army take photos and videos of indigenous people, including members of the media and church workers, who started another exodus on July 30. Photo by Mark Saludes. Lumad leaders negotiate with an army official to let the displaced indigenous people to pass thru military barricade in Lianga town on July 30. Photo by Mark Saludes. The provincial government’s crisis management committee called for a dialogue to, according to provincial officals, prevent the possible escalation of conflict should the Lumad assert in passing through the barricade. San Agustin town chief executive Libertad Alameda offered a temporary sanctuary in Buhisan village. 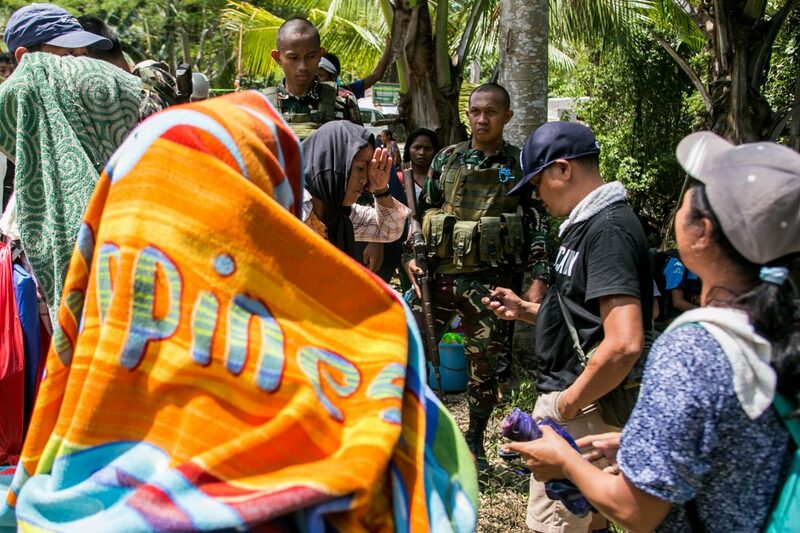 During the dialogue, the tribal group MAPASU, the local government unit, and the military have agreed to several conditions including the withdrawal of a military detachment in Sitio Simowao. 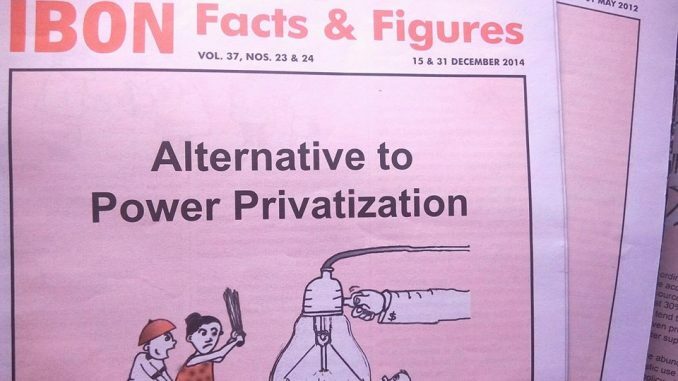 However, the parties reached a deadlock after the military refused to sign the agreement. The tribals have vowed not to return to their communities if the military will not sign the agreement and set down their encampments in tribal communities. “If they will not sign the memorandum, there is no assurance that the army would not go back and encamp in the villages,” said Campos. “We cannot just rely purely on their words because even signed agreements in the past were not honored by the military,” he added. The post IN PHOTOS: Lumad ordeal in Surigao del Sur not yet over appeared first on Manila Today.